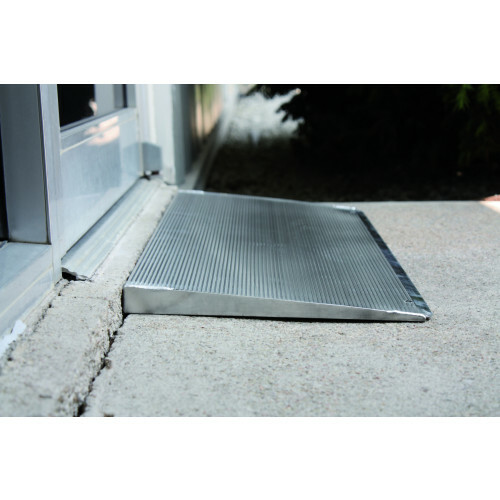 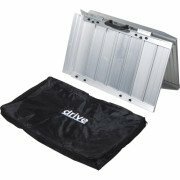 Available in .5", .75", 1.5", 2" & 4"
Available in numerous heights, the Prairie View Aluminum Threshold Ramps are convenient and lightweight solutions for users of wheelchairs, walkers, and canes to safely access entrances such as doorways and raised landings. This free standing threshold ramp can be used inside or outside, and the aluminum construction provides stability and durability for years of trouble-free use. 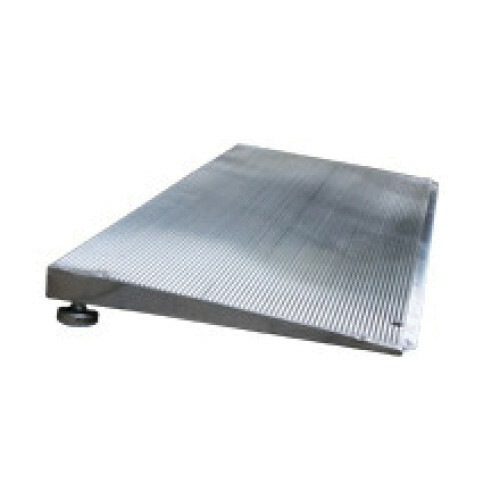 ½ - ¾ inches 10"
¾ - 1 ½ inches 12"
1 ½ - 2 inches 16"